Starting the day with a five-stroke lead, A.J. Risley had seen his buffer disappear by hole 14 during round three of the Ledgestone Insurance Open. His drive on the par 4 barely squeaked above the water’s edge but the second shot over the shoreline wasn’t as lucky, rolling into the drink after touching land inside the circle. Looking uphill with a gallery behind the basket, Risley stepped up to a 27-footer to save par and maintain his lead. He’d had trouble staying in the black for the day and this putt would also be to keep him under par with surging players around him. Risley took a breath and stepped up to his lie. What followed was the stroke of a confident golfer, and a tight fist pump as Risley collected his putter from the bottom of the cage. The putt was just what Risley needed as he carded three birdies (with a bogey) to close out his 3-under par 60 round. As the dust settled on moving day, Risley maintained his lead at 21-under par 168 total, pushing it to three strokes over a three-way tie for second between Reid Frescura, Nate Sexton, and Chris Dickerson at 18-under par 171 total. Frescura tied for the hot round in the field with a 9-under par 54, while Sexton and Dickerson carded matching 7-under par 56s. 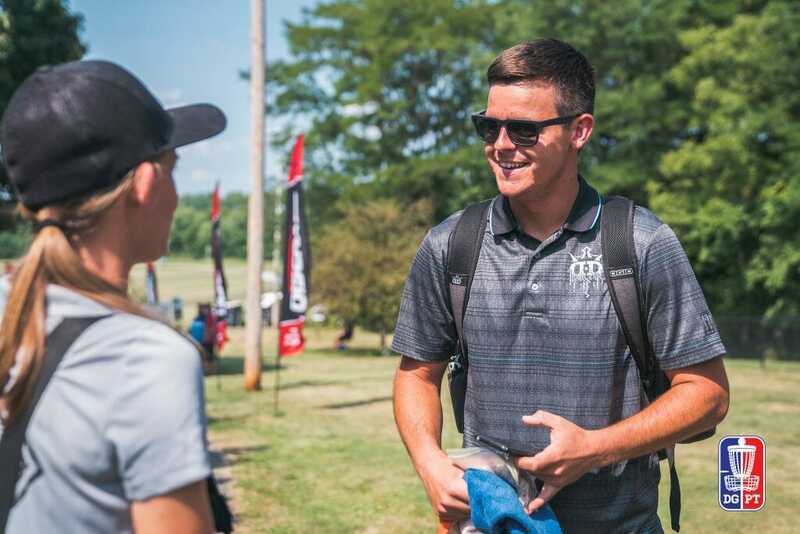 Risley capped his day with an insane roller on hole 18 that clipped an early tree yet still managed to navigate its way far enough down the fairway that all he needed to do was float a putter next to the pin for a drop-in birdie. It just missed rolling into the lake at the end too. Sexton and Dickerson were sharing the lead card with Risley yesterday at Eureka Lake, and both minimized bogey strokes while each hitting all their Circle 1 putts. Sexton had a relatively quiet round but finished with authority in the form of back-to-back-to-back-to-back birdies on 14 through 18 — with two of those coming from circle’s edge putts. His only bogey came on hole 2. For Dickerson, his putter had a tracking device on chains. His 100-percent putting from Circle 1 is great, but his four connects from Circle 2 were game changers. If things get tight tomorrow and it looks like extra holes are coming, look out for Dickerson. He’s won two playoffs in the past two weekends. While the lead card took care of business, Frescura was on the chase, grabbing 11 birdies in route to the hot round in the field. Outside of a double-bogey on hole 13, and a clanger that would have gotten him to 10-under on the final hole, Frescura was getting every break the course had to give. Further down the leaderboard, Kevin Jones moved back into a chase card position for Sunday, tying the hot round and carding 13 birdies. He is tied in sixth at 14-under par 175 total. If Jones is able to manage the OB he is one of the few golfers who’s shown the ability to score well every round and could make a run at a podium spot. Gregg Barsby is in fifth place at 16-under par 173 total and will join Emerson Keith, Garrett Gurthie, and Jones on chase. Keith and Gurthie are tied in sixth with Jones. The lead card of Risley, Frescura, Sexton, and Dickerson is scheduled to tee off at 3:15 p.m. local time, weather permitting. You can follow along with the live scoring at UDisc Live, and the live broadcast begins at 3:00 p.m. eastern time on the DGPT YouTube channel with the Open Women lead card up first before the Open card tees. 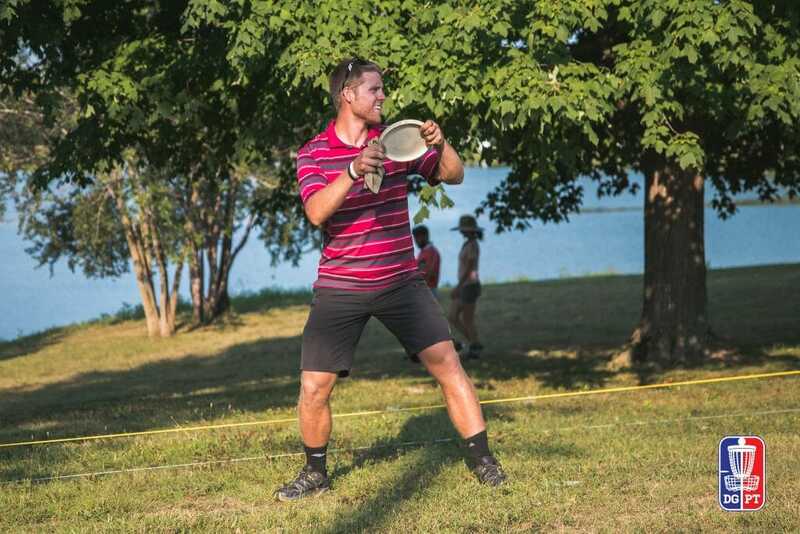 Check back in here at Ultiworld Disc Golf for recaps and coverage of the final round. Comments on "Late Rally Keeps Risley On Top At Ledgestone"